Robert is a Co-Founding Director of UCL Computer Science’s Autonomous Manufacturing Lab (AML) and Founding Director of University of Pennsylvania's AML. He is a Principle Research Associate in the Department Of Computer Science at University College Of London, and an Assistant Professor Of Architecture at University of Pennsylvania. Robert is currently a Co-Investigator for Aerial Additive Building Manufacturing (Aerial ABM) — A £2.4mil EPSRC Funded Research Project aimed at developing an autonomous multi-agent robotic 3d printing system for in-situ building construction. Sebastian Kay is a PhD Student in UCL Computer Science’s Autonomous Manufacturing Lab where he investigates the use of collaborative heterogenous robot systems for manufacturing and construction. Sebastian has a background in physics (BSc) and computer vision (MSc) and has worked as a computer modelling engineer evaluating corrosion protection systems in the energy industry. 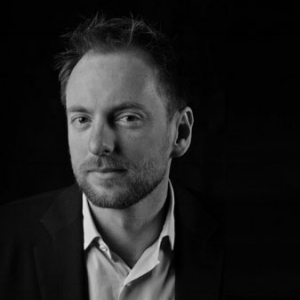 His research interests include natural emergent systems, behaviour-based robotics, computer vision, virtual reality, human-robot interaction, and autonomous robotics. Daniel Butters is a PhD student in UCL Computer Science sponsored by UKAEA. His research interests include autonomous maintenance, computer vision, assisted teleoperation, virtual reality and the development of robotics to support fusion energy. For his master’s thesis he developed and evaluated a system to use a compliant robot arm for autonomous 3D printing. Daniel has a BSc in Physics from University of Birmingham and an MSc in Robotics and Computation from UCL. With Robert, Vijay is a Co-founding Director of AML-UCL. With a background in Computer Science, Robotics and Virtual Environments, to date he has been successful in achieving a significant research portfolio from UK and European, research agencies. Within this remit, Vijay leads the multidisciplinary team at AML-UCL developing autonomous and semi-autonomous platform RAI technologies that enhance human-robot interaction through collaboration across scales. In partnership with Prof. Srinivasan, he also project manages activities at the TouchLab specialising in robotics research for applications in the Life Sciences and Biology (touchlab.cs.ucl.ac.uk). Mohammad Hamid is a PhD Student developing mobile ground-based robots (UGVs) multi-agent manipulation systems. He holds an MSc from Kings College and a Ba in Mechanical Engineering from University of Leicester. Mohammad's Masters research focused on the development of rehabilitation gloves for stroke patients that involved wearable EMG sensors. He has previous experience in the study of fatigue in composite materials, and the development of wind turbine control systems. His research interests include Artificial Intelligence and Robotics Systems, micro-controllers and programming. Valentina Soana is a Researcher and PhD candidate at UCL. She received a Master of Architecture from KTH Stockholm and a Master of Science (ITECH) from the University of Stuttgart, both with Distinction. Her work is situated at the intersection of robotics, computational design and architecture. Valentina has worked as architectural designer, researcher and academic at international firms and universities in the US, Europe and New Zealand. Her current research focus is on the integration of autonomous robotic systems to augment design, fabrication and construction processes and generate self-aware structures. 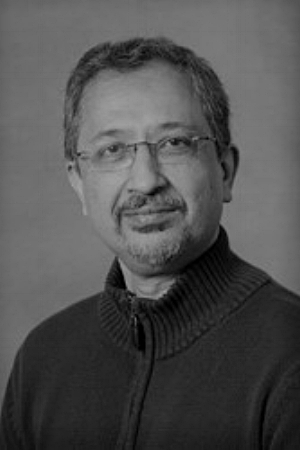 aka Srini, is Prof. of Haptics in the Virtual Environments and Computer Graphics (VEGE) group at UCL-CS, and founder of the MITTouchLab in the Department of Mechanical Engineering and the Research Laboratory of Electronics. His research has played a pivotal role in establishing the multidisciplinary field of haptics which underpins key manufacturing challenges in human-robot collaboration. He is a recognised world authority on human and machine haptics, teleoperation, and robotic manipulation. As PI/Co-I, MS achievements include: a prestigious ERC-Advanced Grant, founding member of the EPSRC UK-RAS Network, IEEE and NASA best paper awards, in addition to EPSRC and Hans Fischer fellowships. Julius Sustarevas is an ARUP sponsored EPSRC PhD student. His research interests lie in multi-agent systems and machine learning applied to control, motion and action planning, predictive control, and construction robotics. He has a BSc in Mathematics and Computation from Imperial College London and a MSc in Robotics and Computation from UCL. He wrote his masters thesis on the Autonomous ground-based vehicle for construction developed at AML-UCL. Further, Julius worked in Mathworks Engineering Development Group as well as doing Full Stack Robotics Engineering consulting work.